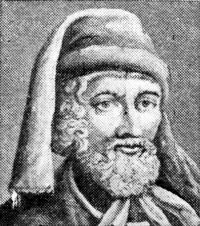 William Caxton (1420 – 1492) was a printer, diplomat, writer and merchant. He is credited with bringing the first printing presses to English and becoming one of the first booksellers in English. His translations of Chaucer’s Canterbury Tales and Thomas Mallory’s ‘Le Morte d’Arthur’ were important milestones in English Literature. 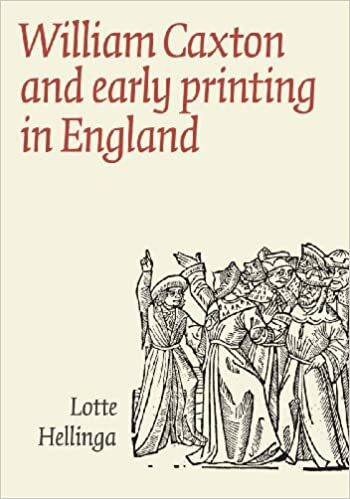 By mass printing books, Caxton enabled a standardisation of the English language and began a process of literacy to gradually spread across England. “If tis wrong I do, then tis a fine and noble wrong”. 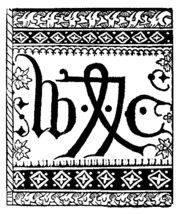 William Caxton was born and educated in Hadlow, Kent around the time of 1415-1422. At the age of 14, he went to London to serve as an apprentice to a wealthy London merchant. After his master, Robert Large died, Caxton inherited a small sum to help him start his own business. He travelled to Bruges, in Belgium and finished an apprenticeship. Working as a merchant he came to Margaret, Duchess of Burgundy (who sister of the English King). He was employed by the Duchess on duties of diplomacy and also trade. He travelled to Cologne where he became aware of the burgeoning printing industry. Using this new technology, Caxton set up a printing press in Bruges and later brought back a printing press to England. During this time, he also translated several books into English, such as the Historyes of Troye. In 1476, when he was in his 50s, Caxton was back in London, and he started printing and selling books. This included very influential books, such as Chaucer’s Canterbury Tales, Le Morte d’Arthur, Sayengis of the Philosophres (Sayings of the Philosophers) and The Book of the Knight in the Tower, published 1484. This included some of the first verses in the Bible to be printed in English. Al these thynges consydered, there can no man resonably gaynsaye but there was a kyng of thys lande named Arthur. For in al places, Crysten and hethen, he is reputed and taken for one of the nine worthy, and the fyrst of the thre Crysten men. The worshipful fader and first foundeur and enbelissher of ornate eloquence in our Englissh. I mene Maister Geffrey Chaucer. His books appealed to the upper classes and merchant classes, though some worried that mass printing may lead to the education of the lower classes and social unrest as they sought to fight against their conditions. He died in around 1492. Citation: Pettinger, Tejvan. “Biography of William Caxton”, Oxford, UK. www.biographyonline.net, 1st Feb 2013. Last updated 27 Feb 2018.